It doesn’t matter if you live in the country, the city, or somewhere in between – rustic décor has a way of luring you in. It creates an inviting space that stirs feelings of authenticity and perhaps even a sense of simpler times. It’s an informal style that simply says “put your feet up” and relax. One of the most attractive elements of rustic decor is anyone can make it happen – you don’t need the skill of an interior designer to make a home enchanting in a rustic kind of way. All you need is a love of natural materials, an affinity for the old, and a little creativity. Love cowhide? If so, you’re on-trend according to home improvement and real estate information company Zillow Digs. They recently recommended five home design trends to keep an eye out for in 2015, and cowhide was one of them. Kerrie Kelly, a design expert from Zillow Digs, said, “Cowhide is the ideal accent texture for 2015’s modern, yet approachable design aesthetic. Elements of cowhide will find their way into pillows, rugs, throw blankets and even artwork this coming year.” The other four contending design leaders for 2015 from Zillow Digs are gold fixtures, wallpaper (yes, wallpaper! ), blue accent colors and mid-century modern elements. One of the most endearing and workable materials available to rustic home enthusiasts is weathered wood. And the options for incorporating it into your home are nearly boundless. The list of possibilities starts with small items like picture frames and can blossom into larger home features like repurposed barn doors. Antiques made of wood, like the vintage apothecary drawer cabinet shown below (with the teacup), are not only beautiful, but functional and great conversation starters! Want more ideas for decorating with weathered wood? Check out these ideas from the Country Chic Cottage blog here. Yes, we said old books! They fill spaces with color and intrigue, drawing interest not only for their value as a decoration, but for also for the infinite knowledge they hold. A full set of vintage encyclopedias is a wonderful addition to a home decorated in rustic style, and can also serve as a backup to Google in a pinch, should your Internet go down! Bottles are fairly easy to find at antique shops or estate sales, and can be easily arranged on shelves or tabletops to make vintage statements in your rustic style home. Rustic decorating is fun and can be addicting. So, beyond the ideas shared above, let your mind wander to more materials – like burlap and wrought iron. Thinking along these lines, the options for creativity are nearly limitless! 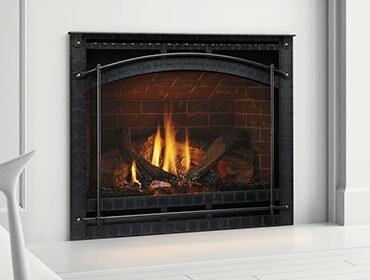 One last tidbit for you – no rustic style home is complete without a hearth. 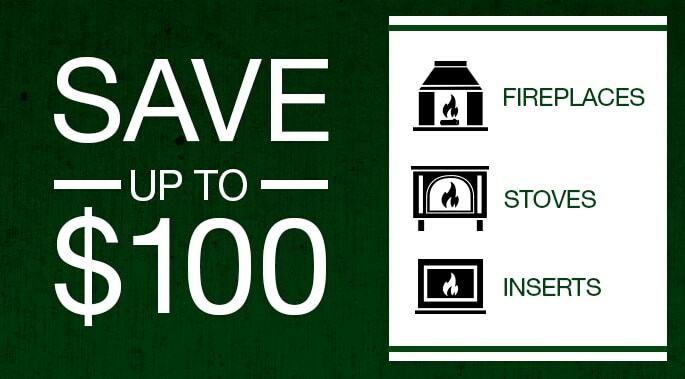 And there is a perfect stove or fireplace for your home. See for yourself here. Like what you see? Find a Quadra-Fire dealer here. Sick of Winter? Embrace the Cold with Movie Night by the Fire!